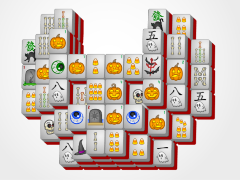 The Small Haunted House Mahjong is not nearly as scary as the bigger version Haunted House Mahjong on Halloween- Mahjong.com, but we assure you it will still give you quite a fun scare, especially if you are just a mahjong beginner! 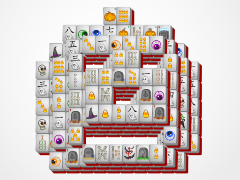 But do not fear this mahjong. 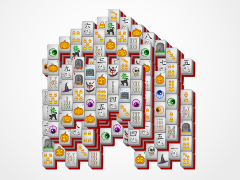 Just play like you do classic mahjong solitaire, and match mahjong tiles in identical pairs. 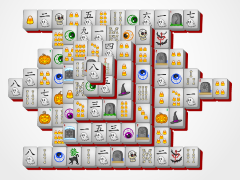 Use seasonal and flower mahjong tiles (the tiles with numbers in the corners) when you need to, as these tiles match each other even though they are not identical. 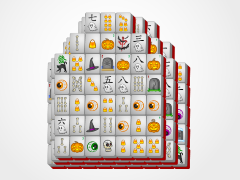 Remove all the mahjong tiles from the board to win. 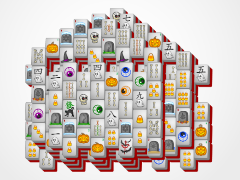 Use the shuffle button if you have no more mahjong moves, or the undo button if you make a mahjong mistake! 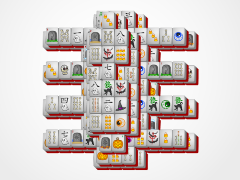 Beat this mahjong tile layout with a fast time to earn three stars! 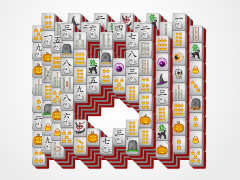 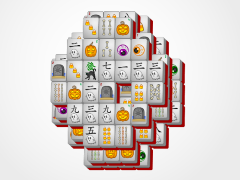 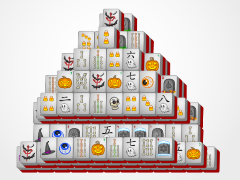 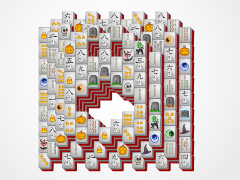 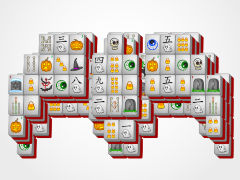 Try and get three stars for all the layouts on Halloween - Mahjong! 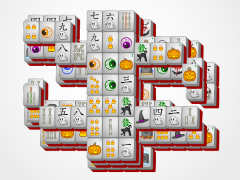 It's a mighty scary task!